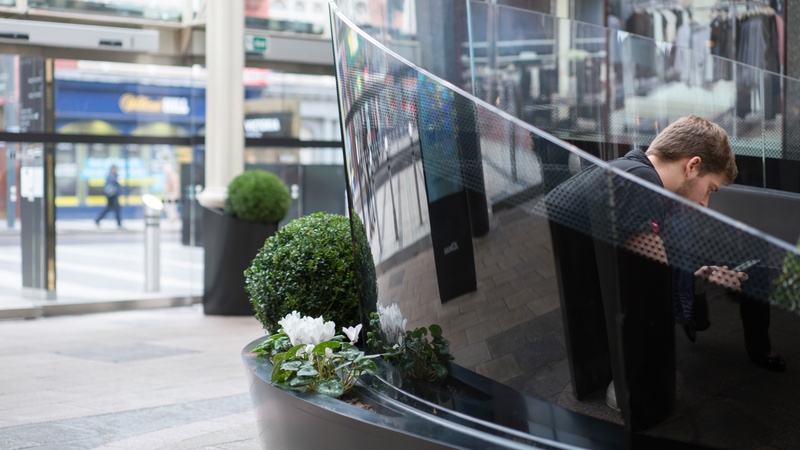 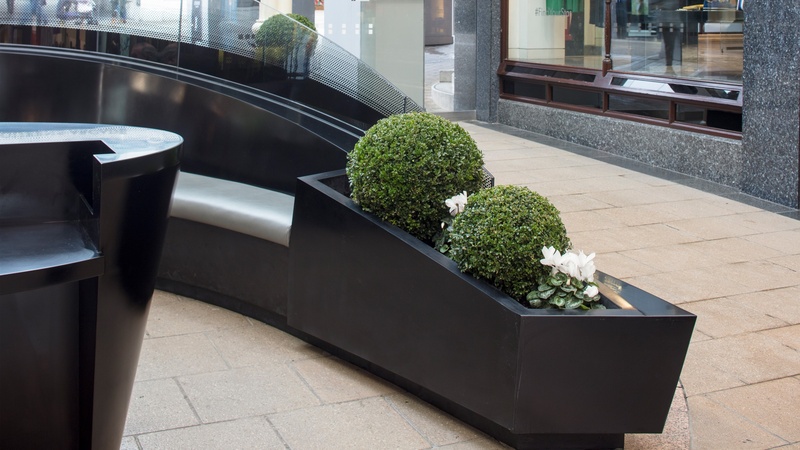 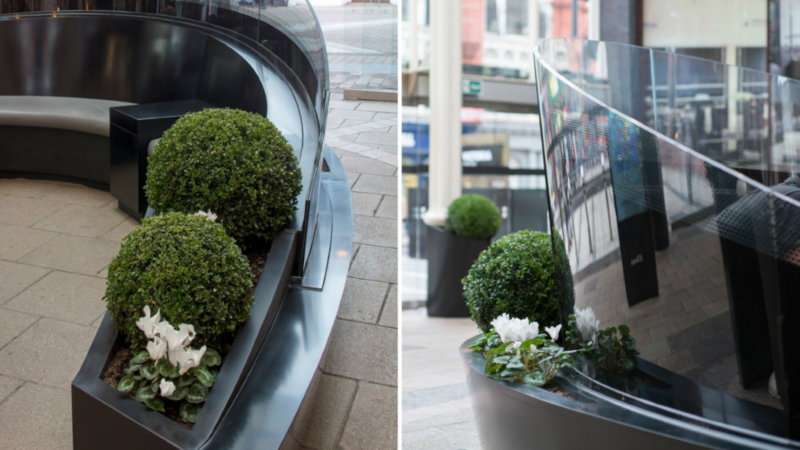 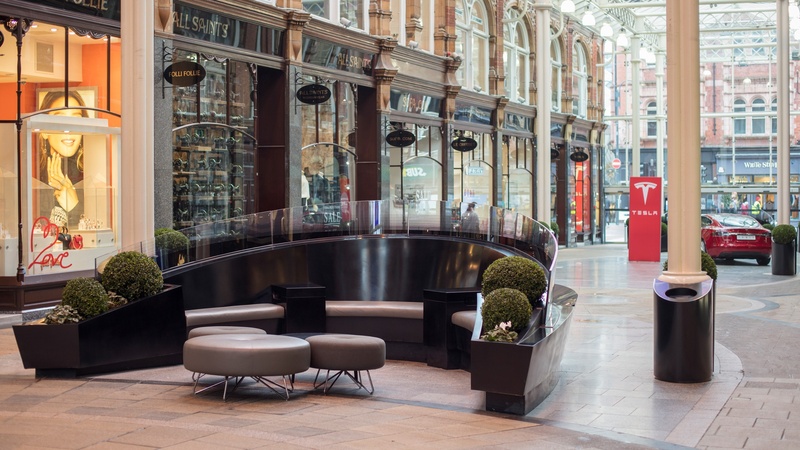 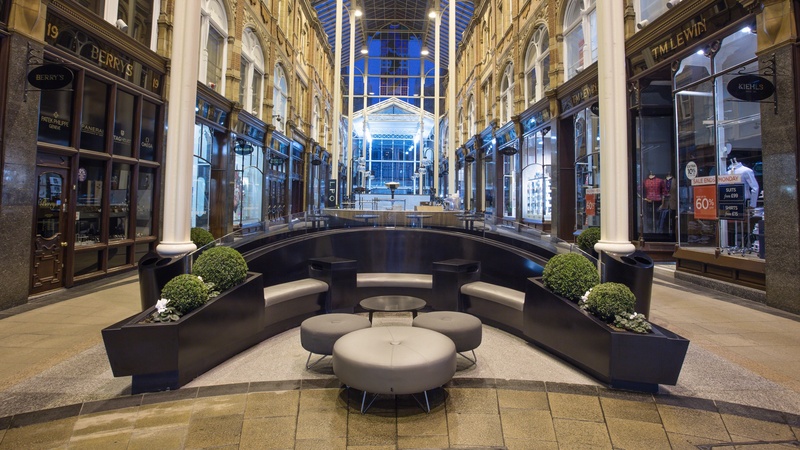 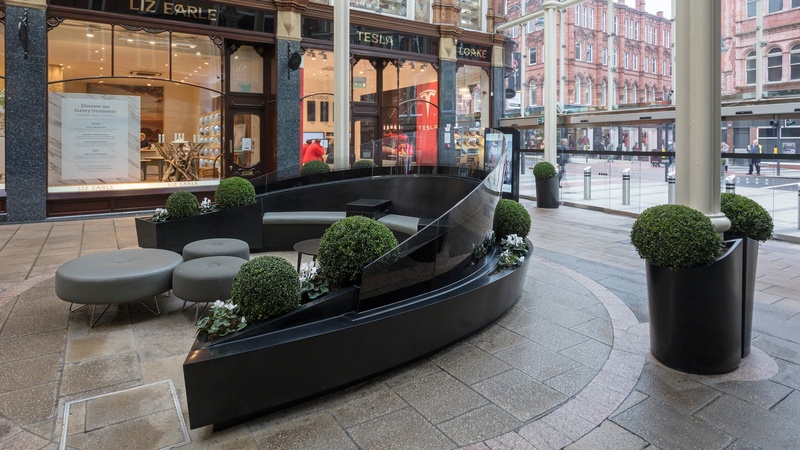 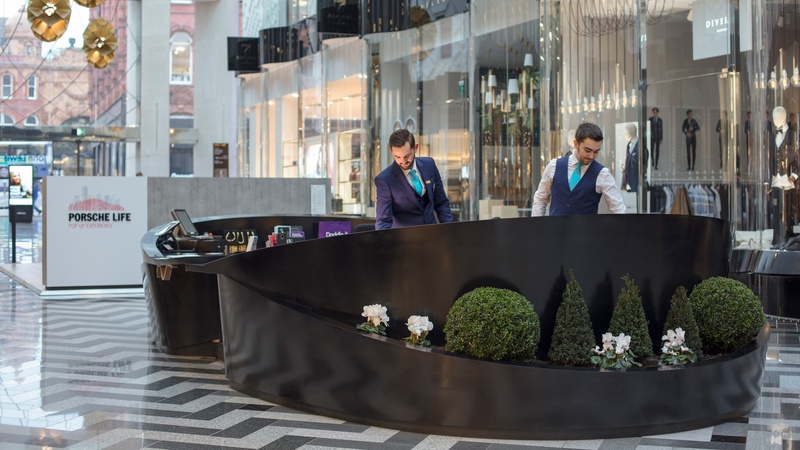 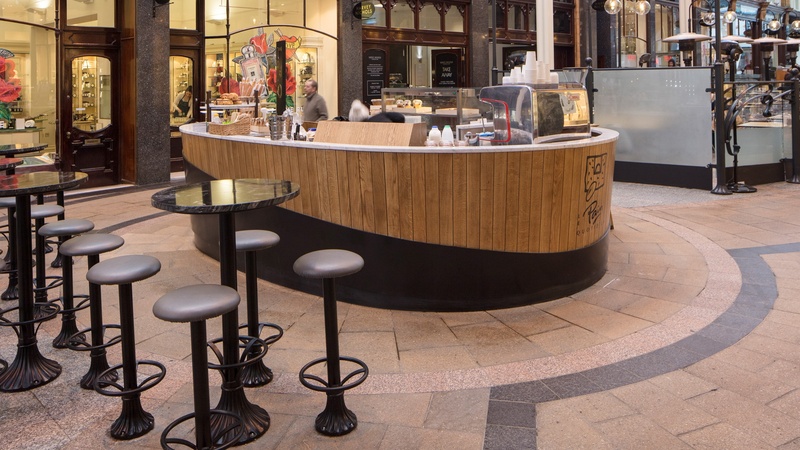 Gariff were employed directly by the Hammerson Group to undertake the manufacture and installation of furniture that was created to link the Victoria Gate Arcade with Victoria Quarter in Leeds. 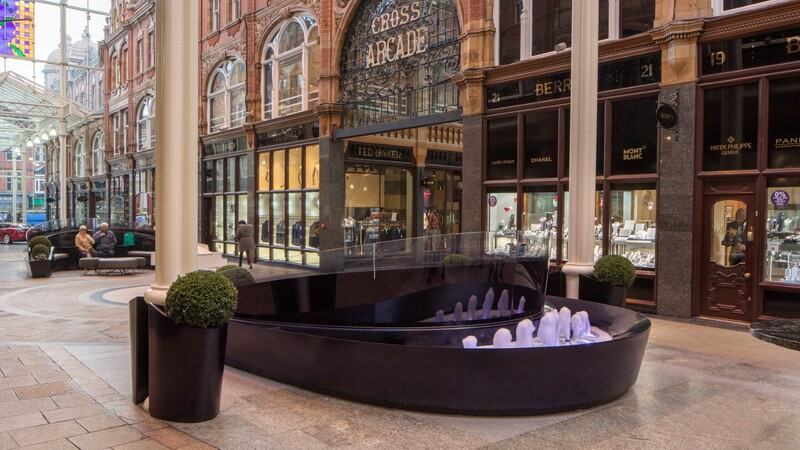 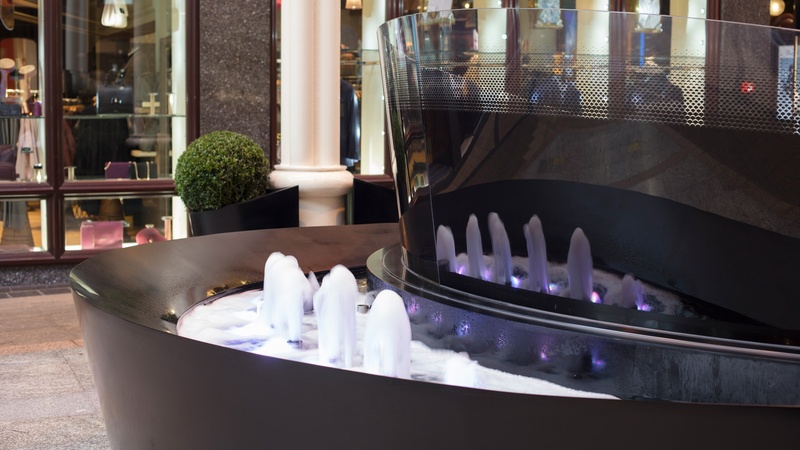 The scope of works involved assistance with detailed design and the manufacture of all of the elements including public seating with integrated fountains & planters, concierge desks and food/retail kiosks. 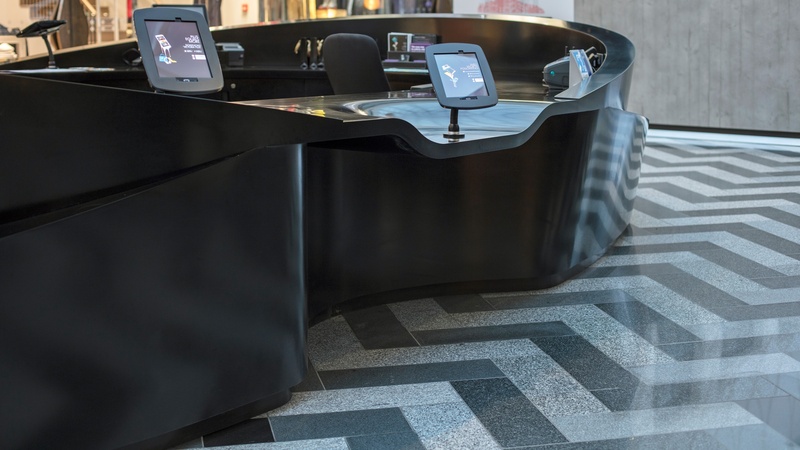 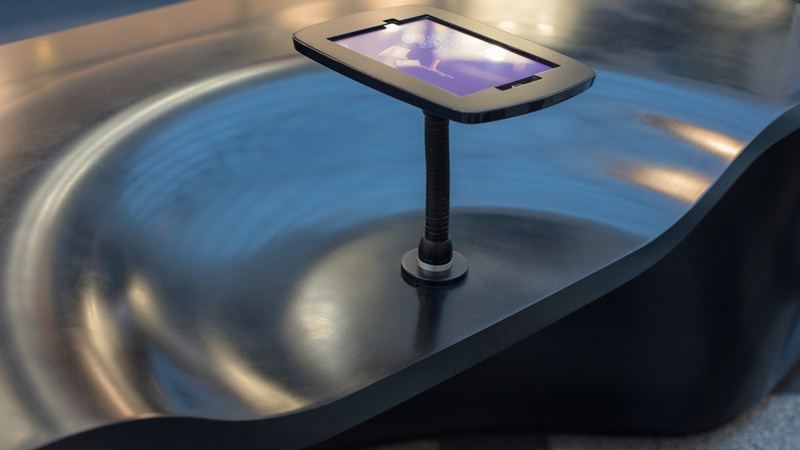 Black Corian® was the material of choice which gave us a number of challenges to overcome, not least of all, how to bend this into the curves requested without losing the dark black colour of the solid surface. 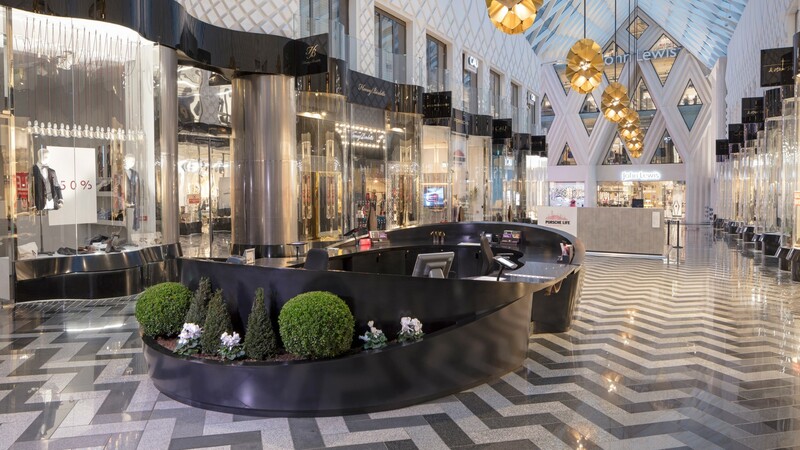 All mechanical & electrical services were also provided by Gariff for this project.